Strikingly smooth 6 O’clock Gin has a clean flavour led by Juniper. Try it with your favourite premium tonic to create your own moment of “ginspiration”. 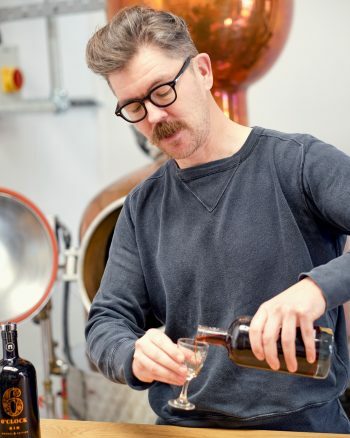 The smoothness flows from our custom-built copper still with its unique double sphere head, together with the careful selection of our botanicals and our distiller’s craft. Only the pure heart of each run makes the cut. 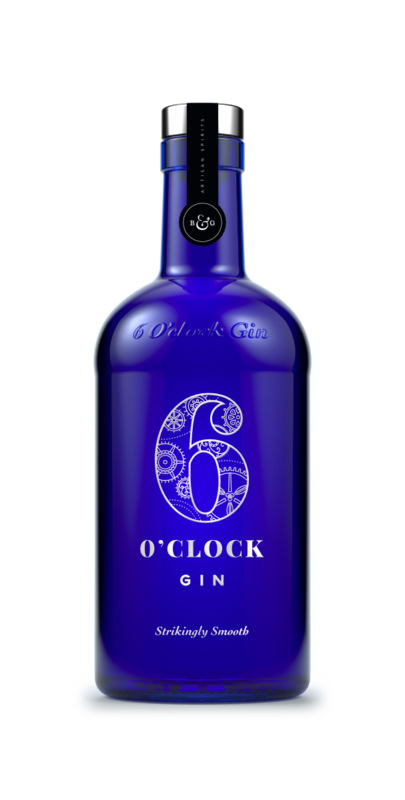 Strikingly smooth to taste and beautiful to behold in its iconic Bristol-blue glass bottle, our original, multi-award-winning 6 O’clock Gin was born in 2010, perfected from an old family gin recipe. It has a soft and citrusy flavour, led by juniper, carefully balanced with coriander seed, angelica root, orris root, winter savory, elderflower and orange peel, all lovingly distilled for a deeply-delicious taste experience. 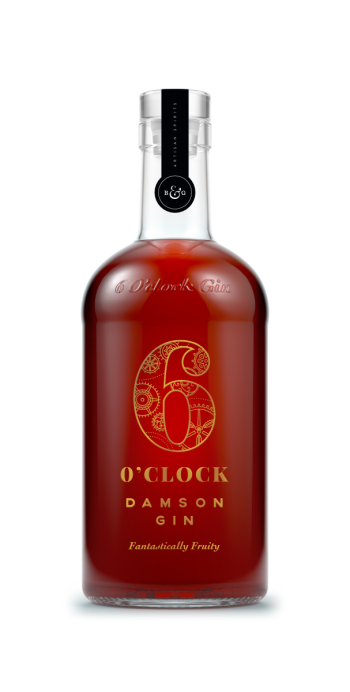 Elegant, crisp and fresh, 6 O’clock London Dry Gin is a classic juniper-led gin with refreshing and balanced notes of orange citrus, elderflower and subtle spice. Serve with plenty of ice, tonic and a lemon twist for a refreshing G&T. Versatile for mixing in a wide range of cocktails from The Martini and Martinez to The Negroni and Gin Rickey.